We’re changing up the look of our Waiver Wire Report here on SI.com. In an effort to appeal to more owners, we’ll now go position by position, recommending players to pick up at corner infield, middle infield, outfield, starting pitcher and relief pitcher. All players are owned in 40% of leagues or fewer, meaning chances are they’re available in your league right now. Without further ado, here’s the debut of our new-look Waiver Wire Report. Tanner Roark, Nationals (Mixed: $7, NL-only: $16): Roark will occupy Doug Fister’s spot in the rotation while the latter is on the disabled list, and with Fister nursing an ambiguous elbow injury, that could be for a while. Roark was great as a starter last year, compiling a 2.85 ERA, 3.47 FIP and 1.09 WHIP in 198 2/3 innings. Shane Greene, Tigers (Mixed: $5, AL-only: $14): Greene stumbled over a three-start stretch in late April and early May, but he has gotten back on track in the last few weeks. In his most recent three starts, Greene has allowed three runs on 12 hits in 19 1/3 innings, striking out 13 and walking four. Brad Ziegler, Diamondbacks (Mixed: $7, NL-only: $15): Judging by Chip Hale’s bullpen usage over the last week or so, Ziegler is first in line for save opportunities in Arizona, with Enrique Burgos acting as the primary setup man. Ziegler is the owner of a 0.90 ERA and 0.80 WHIP in 20 innings this season. Shawn Tolleson, Rangers (Mixed: $8, AL-only: $15): After earning saves in consecutive games last week, it’s safe to say Tolleson is the new closer in Texas. He also has 26 strikeouts in just 19 1/3 innings this year. Grab him while you still can. Kevin Siegrist, Cardinals (Holds league, Mixed: $3, NL-only: $7): Owners in holds leagues should be paying Siegrist more attention. In 18 2/3 innings this year, he has 23 strikeouts, a 0.96 ERA, 1.18 WHIP, seven holds and two wins. He’s going to be useful all season thanks to his ability to miss bats and his role as a primary setup man for Trevor Rosenthal. Mike Napoli, Red Sox (Mixed: $3, AL-only: $8): Napoli turned on the pop over the last week, belting four homers in a five-game stretch, including two against the Angels on Saturday. If nothing else, he can help a power-needy owner, and he also has the ceiling to play like a top-15 first baseman the rest of the way. Jake Lamb, Diamondbacks (Mixed: $3, NL-only: $12): Lamb was one of the hottest hitters during the first few weeks of the season before landing on the DL. He should be back in the Arizona lineup by next weekend, even with Yasmany Tomas swinging the bat well. Yunel Escobar, Nationals (Mixed: $3, NL-only: $15): Escobar is hitting .322 with a .374 on-base percentage this season while hitting in the second slot in the Washington order. If he can stay above a .350 OBP for the rest of the year, he’ll probably score 100 runs. Jung-ho Kang, Pirates (Mixed: $3, NL-only: $9): Kang’s starting nearly every day in the Pittsburgh lineup and has produced a .307/.367/.432 line through 98 plate appearances. He’s likely only intriguing to owners in leagues that have a middle infield spot in the starting lineup, but he should still be more widely owned. Danny Espinosa, Nationals (Mixed: $2, NL-only: $9): Espinosa has taken advantage of Anthony Rendon’s knee injury this year, slashing .261/.359/.459 with five homers, 23 runs and 13 RBI. So long as he’s starting most games for Washington, he’s relevant to fantasy owners. 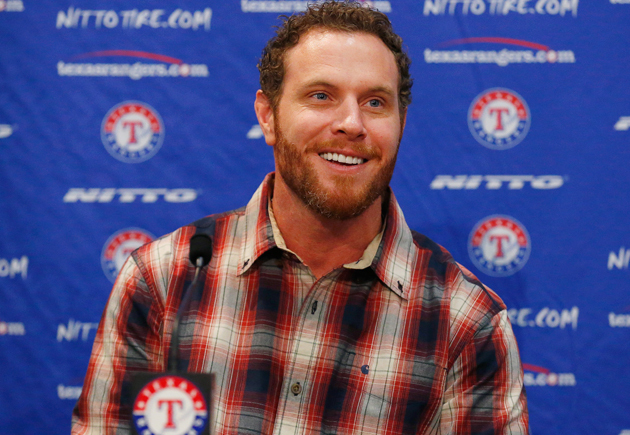 Josh Hamilton, Rangers (Mixed: $7, AL-only: $16): Hamilton is set to make his return from the DL on Monday. His swing-and-miss tendencies will lead to prolonged slumps, but he can still be a major source of power, even if his best days are behind him. Rajai Davis, Tigers (Mixed: $3, AL-only: $8): With Victor Martinez (knee) on the DL, Davis has been getting extra playing time at designated hitter. He’s hitting .278/.356/.433 with 11 steals on the year and is a great source of cheap speed as long as he’s getting consistent plate appearances. Curtis Granderson, Mets (Mixed: $3, NL-only: $12): Granderson isn’t great at any one thing, but he’s doing a little of everything this year. He has five homers, three steals and, thanks to a 13.6% walk rate, a .347 OBP. If you’re in an OBP league, Granderson should be quite attractive if he's sitting on the waiver wire.